Mercedes-Benz and McLaren are adding the crowning glory to the model family of their highly successful SLR super sports car with a new, uncompromisingly spectacular car. There is neither a roof nor a windscreen to separate the driver and passenger from the outside world; they enjoy unadulterated high-speed excitement with all the attributes of a speedster. 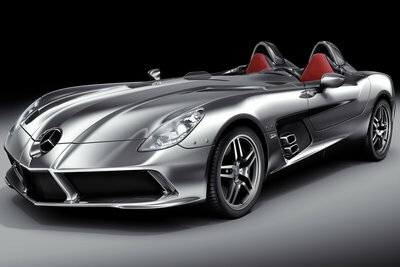 The new SLR Stirling Moss is also characterised by the most sophisticated technology and a breathtaking design which reinterprets the...Read.